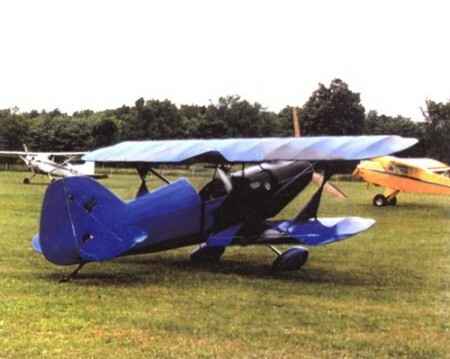 The Micro Mong was designed by Ed Fisher, of Northeast Ohio. (Not to be confused with another Fisher named Mike. They are not related.) Ed First designed the Zippy Sport, which was officially introduced 1983, and was marketed through Fishercraft. Green Sky Adventures, Inc. eventually bought the "proof of plans" prototype Zippy Sport from Ed in 1986. The aircraft was put to immediate use to gain knowledge on the operation of Rotax engines on fast (relatively speaking) airplanes and serves that purpose still, today. Eventually, Green Sky purchased the design rights for the Zippy Sport, and still offers Plans for that design. Ed went on designing other airplanes. 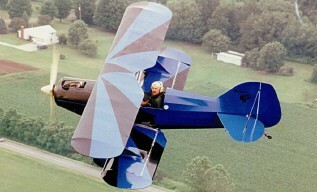 His "Skylite" Ultralight gained a lot of attention, winning Grand Champion Ultralight at Oshkosh in 1991. Under the name of Raceair, plans and components were developed and marketed for the Skylite. Green Sky Adventures, Inc added some Raceair items to its product line shortly thereafter. Ed worked diligently, after Oshkosh, and within a few months, his Raceair Company began selling plans and components for the Micro Mong. Just as with the Skylite, Green Sky added the new Raceair items to its product line. Plans were made to have the Micro Mong at Green Sky’s Sun n Fun booth in April. The President of Green Sky was so impressed with the Micro Mong, that within three months, he and his brother formed Pyma Lake Aircraft Corp, purchased the Micro Mong design, and arranged exclusive marketing with Green Sky Adventures, Inc. Pla Corp. built the proof of plans aircraft, then built steel jigs and fixtures and organized many of the details of kit production. A plan to move the operation to Florida prior to establishing a dedicated production team is an unachieved goal as of this writing. Green Sky Adventures, Inc has acquired the assets of Pla Corp. Green Sky believes the biplane nostalgia helps to make the Micro Mong’s popularity timeless. Conversely, its’ single place, open cockpit configuration undoubtedly limits that popularity. For that reason, a philosophy of high quality, limited but continuous production is realistic. The slow process of relocation from Ohio to Florida has kept Micro Mong kit production in limbo. Quite a few builders have completed their aircraft. Much of the promotional material and information describing details of the kit has been updated. However the Micro Mong design remains pretty much frozen. No major changes are expected at this time. Differences between Kit version and Plans version are so few, that an original plans set is still supplied with the Micro Mong kit as the primary "Bible" for assembly.